Hamilton started with Leith Athletic in his native Edinburgh in 1906 before heading south to join Southern League club Brentford in 1907. He moved to Leeds City in June 1908. City soon found that apart from his favourite Centre Half position he was also equally adept in most defensive positions, turning out at Right Half and both Full Back positions as the need arose. Having played twenty-one of the thirty-eight games and figured in all four F.A. Cup ties, it came as quite a surprise when he returned to Brentford at the end of the season. 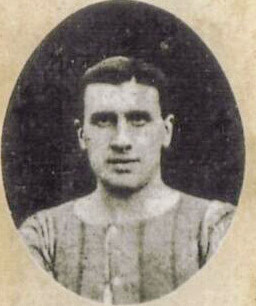 He remained at Griffin Park until 1912 when he joined Non-League Swansea Town and he finished his football career with Barry Town.